Apex Windwo Films DIY Embossed Films are decorative privacy films that have a colorless pattern 'embossed' into the film, such that the pattern is textured. While they have no color, the patterns are apparent through translucent and opaque patterning. These films create an interesting effect on glass and are neutral to match virtually any decor. Choose a pattern that picks up on a decor theme, commercial brand, o Scroll down to view our collection of embossed design window film patterns - colorless patterned film that is suitable in many decor applications. Available Width 48" Textured, crocodile skin pattern window film offering excellent privacy benefits. 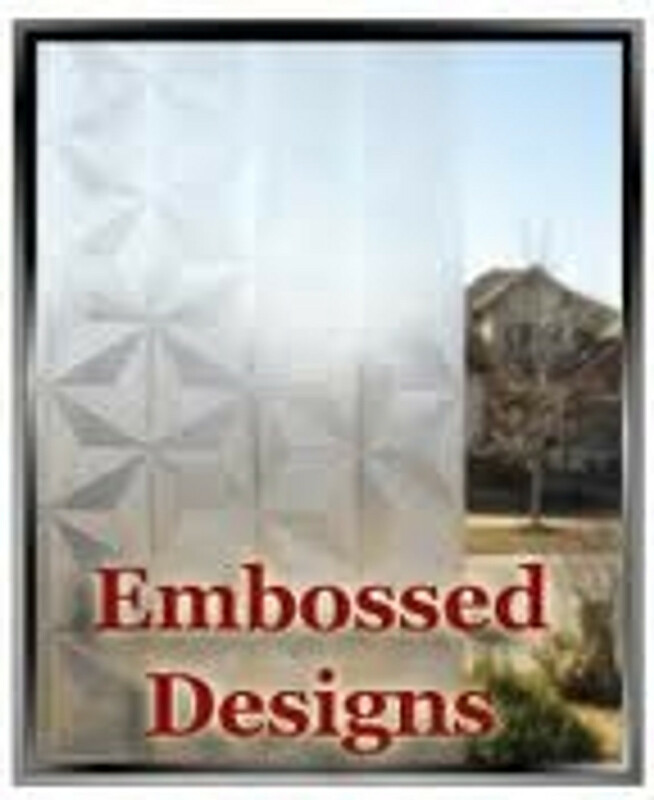 Available Width 36" Diamond pattern with the look of cut glass. Colourless permitting excellent light flow. Available Width 35.5" Jack Frost - Appearance of natural-looking frost sparkling on your window on a cold winter morning. Provides good light flow. This is a static cling film which is applied without chemical adhesives.